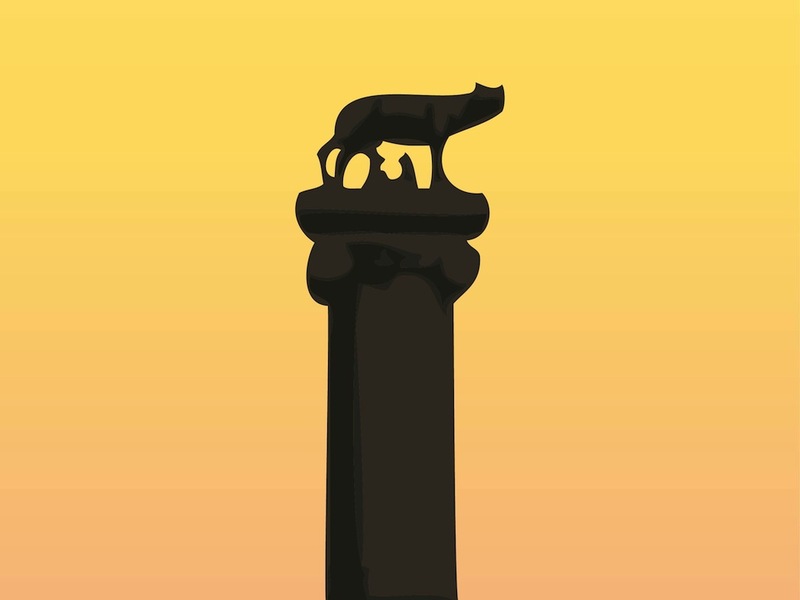 Silhouette vector illustration of the popular sculpture of the Capitoline Wolf. She-wolf breast-feeding the founders of Rome. Babies Romulus and Remus and mythological animal of top of a column. Free vector illustration for all kinds of famous works of art, traveling and symbols of Rome vectors. Tags: Animal, Babies, Campidoglio, Italy, Remus, Rome, Romulus, She-Wolf, Twins.